After you take the kids to hunt Easter eggs, you’ll probably be hunting down some food. Brunch is good on any Sunday, but Easter brunch should be extra special, and these restaurants deliver the best Easter brunches in Gainesville. For a decadent Easter brunch, head over to Ember’s Wood Grill. This restaurant always has special menus for holidays such as Valentines Day and Easter. Shrimp and mango ceviche, bourbon-whipped sweet potatoes, duck breast cassoulet with kale, organic wood grilled antipasto, and Belgian chocolate torte are just a few of the things on this extensive, luxurious menu. Ember Wood Grill will take reservations for Easter Sunday brunch, and the price for one person is $45. Francesa’s is known for it’s amazing Sunday brunch, but they’ll have a special menu for Easter. Brunch options include lollipop lamb chops with a red wine demi-glace, salmon cakes with a pistachio aioli, a Belgian waffle station, and pancetta and spring pea risotto, to name a few. They’ll be serving brunch from 10:00 a.m. to 6:00 p.m. Starting at 3:00 p.m., any breakfast items on the menu will be replaced with salmon picatta, chicken Francaise, vegetarian puttanesca, and a live-action pasta carbonara station. The price for this brunch with be $34.95 plus tax and an 18% gratuity. This brunch at Francesca's is great for families because any children under 10 years old can dine for only $16.95 each, and be sure to call this restaurant in advance to make reservations for Easter Sunday. This quaint bed and breakfast in the heart of Gainesville will be serving brunch on Easter as well so you can get a taste of the delicious breakfasts they serve their guests. Their brunch will include a variety of quiches, a carving station, homemade French crepes, Southern-style shrimp and grits, fluffy biscuits, a salad bar, and dessert. Brunch tickets also included coffee, orange juice, tea, and one mimosa as well. Adult brunch tickets cost $26 per person, and children's tickets are $14 each. Sweetwater Branch Inn asks for Easter brunch reservations to be made before March 28th, and the brunch will be from 11:00 a.m. to 2:00 p.m. on Easter Sunday. 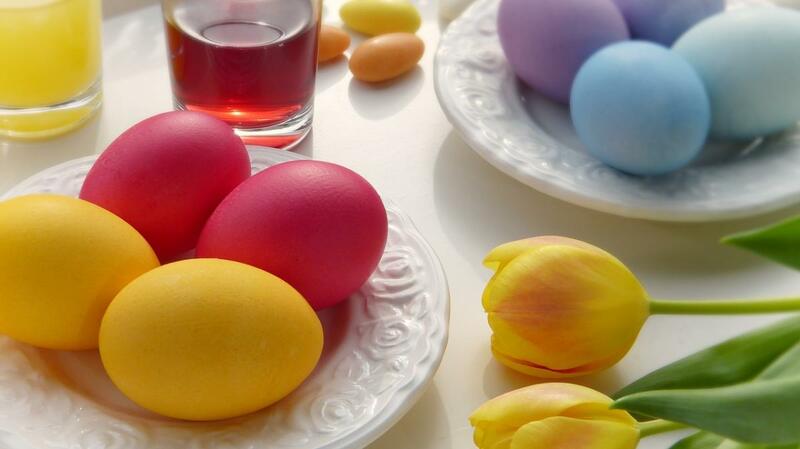 Don't hesitate; make reservations for one of Gainesville's best Easter brunches now! Find more restaurants in Gainesville like these as well as more Easter events by registering on 352area, your free guide to everything in North Central Florida.